Ever have one of those ‘loose-end’ kind of days? When my kids were little – before our various kinder and school timetable commitments, I’d often begin the day by asking the boys “What will we do today?” Some days were undoubtedly park days, others were all about staying indoors. Some days we all agreed that the elephants at the zoo needed a visit but other days we were at a ‘loose-end’ – what to do, what to do? 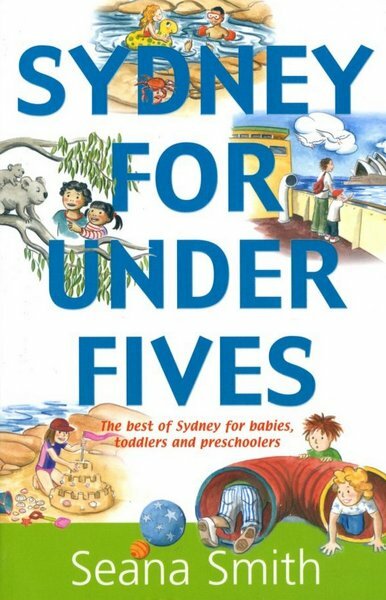 Sydney for Under Fives by Seana Smith, is a wealth of information for those loose-end days and in fact all other kind of days if you are planning activities for little kids. The book is filled with more than three hundred fantastic places to go and great ideas for having fun with under fives (and it’s good to know that all have been thoroughly road-tested by Smith’s four children). Sydney for Under Fives highlights many points salient to parents that are overlooked in ordinary guide information. For example, descriptions of outdoor attractions include categories for ‘shade’ and ‘nearest takeaway cappuccino’ and for indoor activities, you’ll be well and truly sorted by knowing what stroller obstacles lie in your path at various museums, galleries and the like. 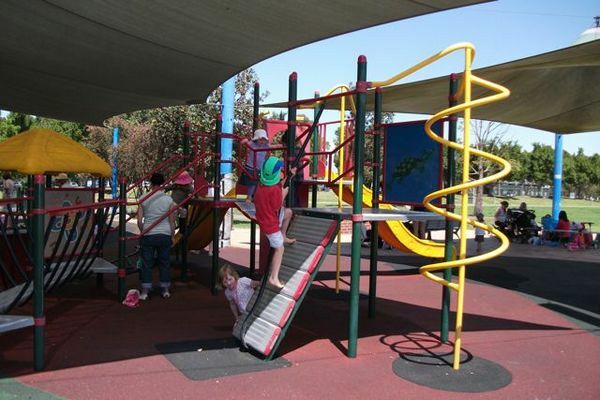 The book covers all areas of Sydney and surrounding suburbs and the range of suggestions is huge, from family-friendly cafes and the best beaches and pools to top playgrounds and cultural activities suitable for toddlers. My favourite chapter is ‘Stroller Walks to Stretch the Legs’ – getting out for a walk with your baby is great exercise and new walking routes offer variety. All of the eleven suggested walks include thorough information about distance and duration, toilet stops, location of drinking fountains, stroller obstacles and other gems such as whether cliff-top paths have fencing (handy to know if you have a three-year-old that likes to outrun you!). Sydney for Under Fives is a great resource for both Sydneysiders and visitors. It’s available directly from Sydney for Under Fives for $25 (including postage). Also check out the Sydney for Under Fives blog which includes lots of online information about places to visit.